Job interview is making the very first impression to your employer. You might be given a second shot so you might as well leave the best impression to them the first time you get a chance. 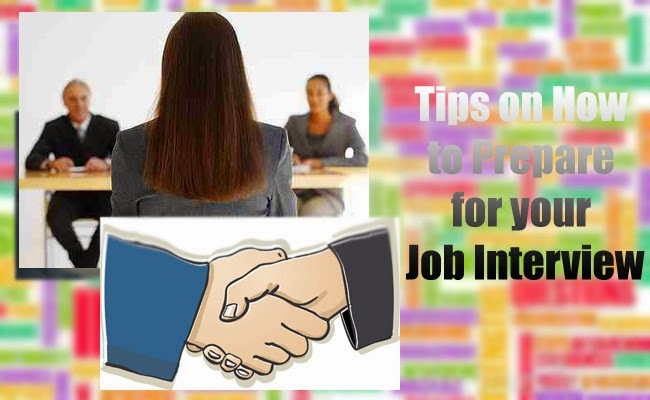 Here are some tips that can help you with your interview. Make sure that you look professional with your attire. It has to be appropriate presentable because your appearance will first speak of yourself even before you open your mouth. And we also have to admit that sometimes appearance can distract people, so make sure your outfit is clean, well pressed and makes you look great. Make sure that your accessories and shoes match your clothes. You can even try it on a day or a few days ahead of the interview to see how you look. A day before the interview, make sure that your outfit, accessories and shoes are all ready to impress the employer. Practice greeting with a friendly smile. If they seemed to shake your hand, be prepared to give a firm handshake. This also gives a sense of professionalism and sincerity as well as a good impression. Any information in that you have provided in your resume is bound to be a topic in the interview since they don’t know anything about you. They will start with your resume and they usually ask for jo experience. Be prepared to share your position and responsibilities in your previous work. Know the company you want to work in and the position you are aiming for. You can even formulate your own questions as it is more impressive for them to see you prepared with intelligent well thought questions. Ask only relevant questions. There are different kinds of interview and these are one on one, panel or group and behavioral. It won’t hurt if you ask your recruiter about this. Be on time and print directions if you are not familiar with the place. Anticipate that there will be some traffic and plan ahead of time to get there at least 10 minutes before the interview. In the event that you cannot appear, call the office to let them know. These are very easy to follow and you may never know what could have made the difference.